Topic: What employers should do when an employee get injured? the lecturer of PDORM, Claims Expert & Project Manager of Swiss Reinsurance Company Ltd. 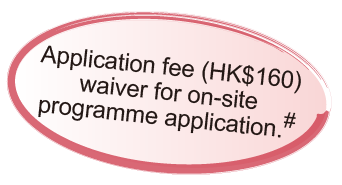 The fee waiver is only valid for on-site application on the day of information seminar. Applicants are required to submit copies of relevant qualifications and transcripts with the application form. In event of any dispute, CityU SCOPE reserves the rights of final decision.